Kim In-kyung finally puts her major heartbreak behind her with a final-round 71 and a two-shot victory in the Women’s British Open at Kingsbarns. Kim In-kyung banished the haunting memory of missing a 14-inch putt to win a major and replaced it with the sweetest sensation. 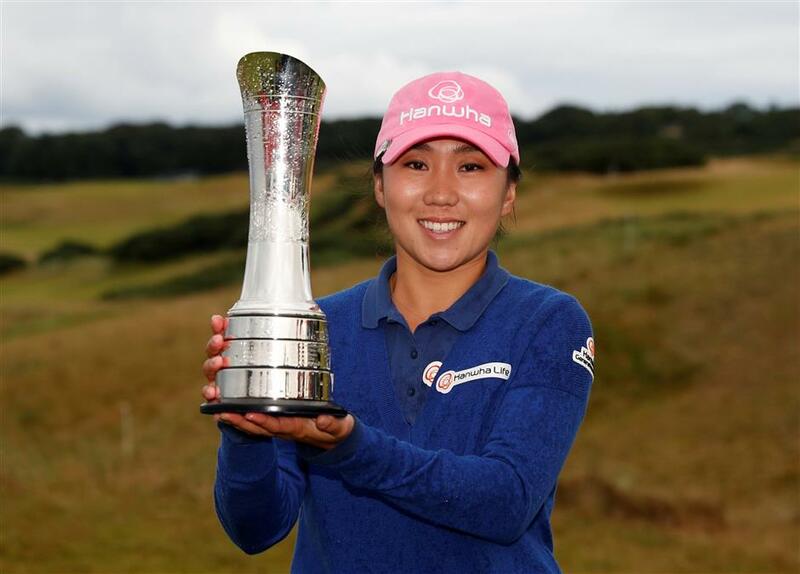 Staked to a six-shot lead in the Women's British Open, Kim never led anyone get closer than two shots at Kingsbarns Links in St Andrews, Scotland, and sealed victory with a bold hybrid over the burn to the 17th green. She made nine pars on the back nine and closed with a 1-under 71 for a two-shot victory. "I cannot describe my feelings," Kim said. "I just tried to have some fun, but it wasn't fun on the back nine." Jodi Ewart Shadoff made her work for it by charging home with a 64 to put pressure on the 29-year-old South Korean. Kim didn't falter over an increasingly soggy course, however. She finished at 18-under 270 to capture the US$487,500 prize. Michelle Wie went out in 30 to give Kim something to think about, but the 27-year-old from Hawaii stalled and closed with a 66 to tie for third with France's Caroline Masson (67) and Britain's Georgia Hall (70). "I almost cried when I won. Winning is great," Kim said. "It's a long process to get over 2012. A lot of people helped me. Now I enjoy playing golf again. What it did teach me is to to give the same effort to every shot, even the shortest of putts." Armed with a six-shot overnight advantage, Kim was rarely threatened throughout a 4-1/2-hour round in which she crucially made only one bogey. England's Ewart Shadoff matched the course record — reached earlier this week by Wie and Olympic gold medalist and Kim's compatriot Park In-bee — and got within two shots of Kim with her eighth birdie of the round that put her at 16 under. "I didn't think starting the day that I would have a shot," she said. "I had a great stretch in the middle of the round to get me going. My plan at the start was just to take the opportunities when I got them and that's what I did." Seemingly impervious to the pressure of leading, Kim sailed along in the damp, overcast conditions, her steady play offering little encouragement to a chasing pack that also included the likes of American duo Lexi Thompson and Stacy Lewis, as well as Park and Thailand's Moriya Jutanugarn. Kim's clinching shot, however, came as late as the penultimate hole, when a beautifully struck hybrid from the fairway sailed over the burn fronting the green and finished 15 feet from the flag. A routine par at the last completed her five-year journey between missing and making. South Korea's Kim In-kyung poses with the trophy after winning the Women’s British Open at Kingsbarns Links in St Andrews, Scotland, on August 6, 2017.